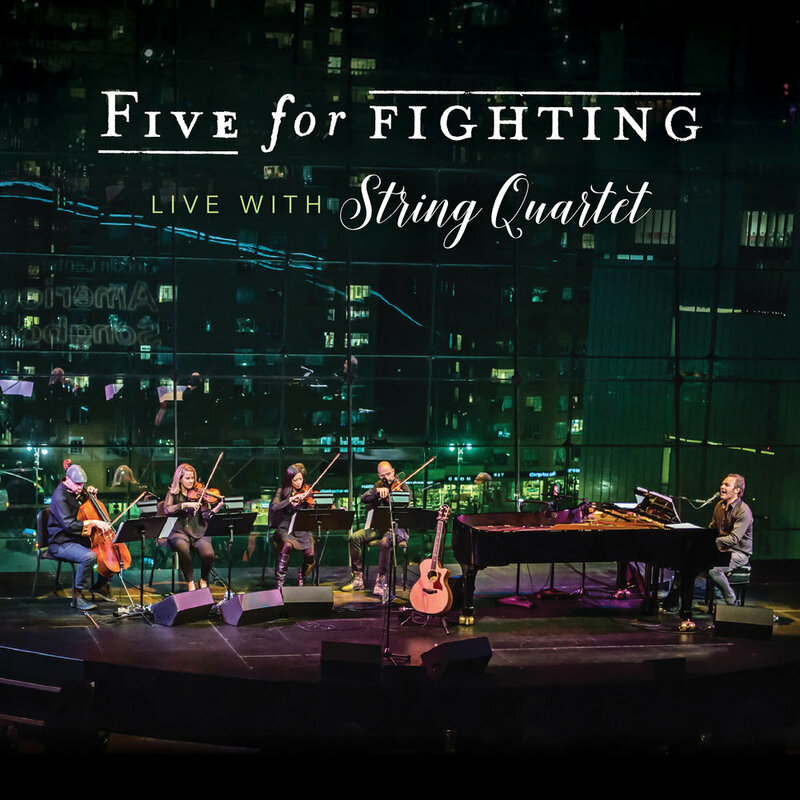 Together with the Five For Fighting string quartet John Ondrasik will be on tour playing a series of unique and intimate dates. We caught him to discuss the new record, tour and recording process. The new album will be exclusively available to those attending the shows until its release later this fall. Five For Fighting will be playing the hits, such as “Superman” and “100 Years” along with fan favorites, "Chances,” "Two Lights,” "What if,” and "I Just Love You,” as well as adding songs from Ondrasik’s twenty year+ catalogue. Can you tell us about your upcoming record, Five For Fighting Live With String Quartet? What sparked the idea? Over the last few years my concerts with the string quartet have seemingly become more in demand to the point where the majority of my shows are not rock band but symphony or string quartet gigs. We have been getting requests for a live album from fans who have attended shows, and for those unable to travel to these concerts. This format allows me to pull songs from my catalogue that contain incredible arrangements from the world class composers I've worked with over the years as well as present the popular songs in a way never heard before. I'm so inspired every night playing with these world class musicians that I thought we should document the experience with this new live album. I hope fans enjoy it! Will there be any new songs? No new songs but we do include "Symphony Lane", a song I wrote specifically for orchestra, "What If", the last single from Five For Fighting, and "I Just Love You", including the story behind the song...which seems to be as popular as the song itself! It will exclusively be available to fans who come to your tour, but do you have a set release date yet for the public? Not yet, but the record will certainly be available for the holiday season. Stay Tuned! Simple for me, we just brought a recording console to a series of shows and pushed record. None of the songs have been altered, auto-tuned, or surgically repaired. It's the music as the audience heard it the night we performed. Old School! For your upcoming tour, can you give us an inside scoop of what to expect? What inspired the unique and intimate venues? Audiences will certainly hear songs they know like "100 Years" and "Superman", but this format allows me to provide a storyteller vibe and give context and experience to many of the songs. I also let the string quartet share their magic in an amazing "war" as well as perform a few covers that we fans of the golden age of songwriting, the 70's, might enjoy. All my shows are family friendly and we take pride in all the generations, and walks of life, who attend. You have been touring for over 20 years. What would you tell yourself when you first started touring that you didn’t know, but you know now? Be grateful. I am one of the lucky ones that continue to live my childhood dream of being able to perform in front of an audience that sings my songs back to me. It's been an amazing ride, and to be able to have shared it with so many loyal fans is humbling. What song are you most looking forward to playing live with the string quartet? For my 20th anniversary my wife got us tickets to see KANSAS "Leftoverture" LIVE at the local community theater. All we are is Dust in the Wind after all.